My Fashion Findings. : Did some shopping :)! 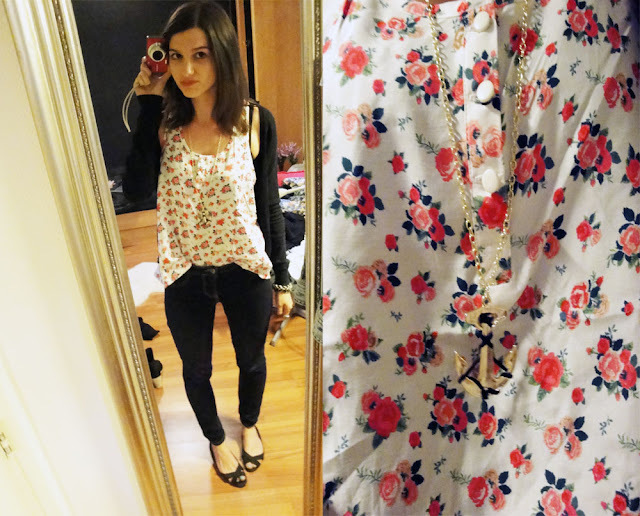 Finally I did some shopping again, bought this nice tee from H&M and this lovely necklace from the Pieces! More shopping updates will come soon! Have a nice day bloggers! I loved the floral print from the shirt..
You have a lovely blog! And what a coincidence you have the same background as me haha! Love the floral print! Cute! I really like this outfit Your top is adorable! Yeah! great print and necklace! Ps: bedankt voor de comment op onze blog! Volg je ons ook? Dan kunnen we zeker in touch blijven!